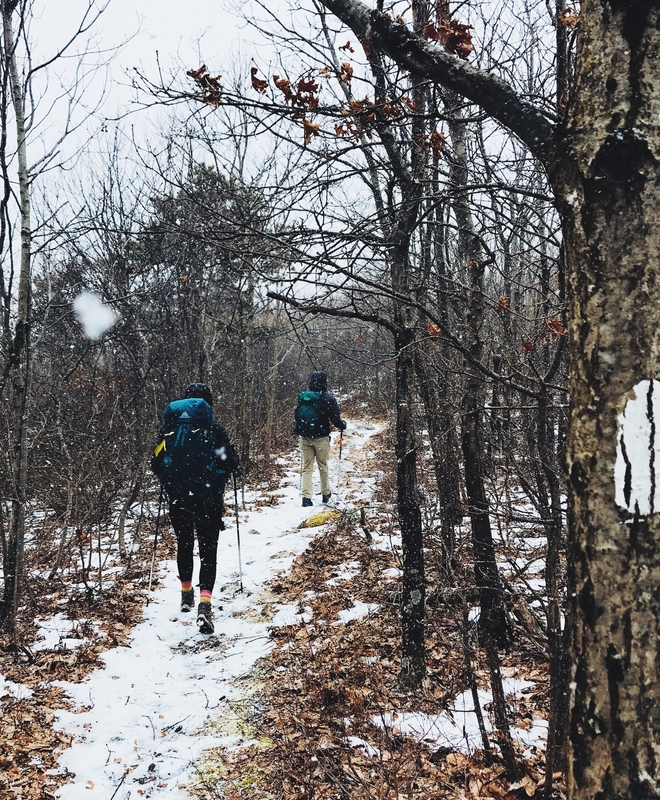 It can be hard to admit how much you doubt yourself on the precipice of such a big undertaking; three days out from my thru-hike attempt along the Appalachian Trail and self-doubt looms. I want to say I am as confident as ever, but in reality I have never been so anxious and unsettled about any decision I have ever made in my life. But I know that this emotional roller coaster I have stepped on is all a part of this journey, and that it will not stop after my first steps have been taken and the white blazes start to pass. Photo courtesy of my brother, Mike Alves. What I know is I am ready for this trail to really break me down, to humble me in ways I have never known. I am ready for this trail to teach me all of its lessons. I want it to show me how to practice compassion, to work hard for everything, to love others, and myself, unconditionally. I am ready for the opportunity to show my strength both mentally and physically. I am ready to build unfathomable courage and confidence as I slowly tackle every peak. I know the trail alone cannot provide these things; I need to listen to the teachings of the trail and heed its advice. I need to remember that this journey is about every step taken as much as it is about reaching Katahdin. I need to recognize that every single day will bring a new lesson, a new adventure, a new person to share all this love with. While the anxiety may be winning right now, I am already so grateful for the opportunities this very long walk is going to provide. We are all very proud of you …. and yes worried …. but mostly proud.